The training is intense ang gives good phyique and fitness, but this is built together through the training, and everyone is equally welcome, regardless of age or physical fitness. You train and grow from your own personal circumstances, at your own terms. The only thing required is commitment, and perhaps that you aren’t too afraid of getting a bruise every now and then. We do not have any separation for ages, and kids and youths practice together with adults, but of course with someone of suitable size and at a fitting level, so they can feel safe and secure. Children from the age of 12 and up are welcome to our training. Younger children may also attend together with a parent, but then completely under the responsibility of the parent. As a member you are encouraged to take own responsibility for your training, to study manuals, practice on your own, as well as join us in pushing the individual and group training, together with others, so that we all grow together. The training is based on modern sports pedagogics and is done in modern clothing. Regular sports clothes is quite fine, but a fencing mask and other protection will eventually be needed. There are also particular fencing clothes designed specifically for HEMA, but it is not a requirement for training. Research & Studies – Which means that you both study e.g. old texts like combat manuals, but also modern interpretations of them. Technical exercises – Which means that you practice different techniques and principles in more or less formal or free exercises. Free Fencing & sparring – Which means that you fight more or less freely, but of course with certain limitations for safety. Sharp training – Which here means cutting with sharp weapons at different objects, in order to learn proper handling of the weapons. To this we also count single drills with sharp weapons. Tournaments in different formats – Here we include all those who wish to take part of external competitions, but also our own small, internal and prestigeless tournaments where we don’t crown a winner, but focus more on meeting many different opponents in a fast tempo, aiming to make our students more dynamic. These tournaments can also include odd matching of weapons since this stimulates problem solving and thinking outside of the box. Not all members need to take active part in all of these activities, but our trainers have them as obligatory parts of their training, although naturally balansed a little individually. Our members are also encouraged to engage in all five areas, since it makes them both dynamic and versatile, at the same time as it makes the study and training of HEMA a whole lot more fun, interesting and challenging. The GFFG has no focus or requirement that everyone has to compete nationally or internationally, but those who wish to do so will receive our full support and all the encouragement needed. 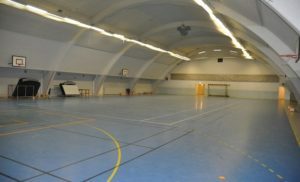 The GFFG trains and teaches according to the statutes of the Swedish National Sports Federation; Riksidrottsförbundet, and is a member of the federation through the Swedish National HEMA Federation and the Swedish Budo & Martial Arts Federation.